One of my favorite authors is Patricia Polacco, and last year, as I was developing materials to use with her book, Bully, I decided I wanted to involve our guidance counselor and technology specialist in some of the lessons I had planned. It just happened to be February when I was using this book, so the timing was just right. Here's an outline of how it worked. Our counselor addressed bullying with the fifth grade groups with classroom guidance lessons. 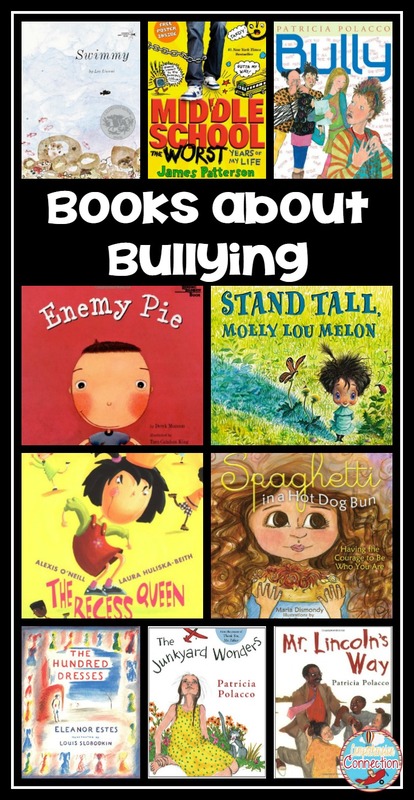 This book also happened to have cyber bullying themes, so I involved our technology specialist by asking her to come in and team with me with a group discussion on internet safety. In the meantime, we wrote about how to handle situations when someone bullies you, and I taught comprehension skills with this book as the mentor text. My students were quite pleased to have their writing pieces highlighted in the classroom guidance lessons. Finally, the three of us working together demonstrated to the students that teamwork is important in the classroom AND in the workplace. Around this time of year, we are analyzing our data to see what interventions need to happen for those not progressing as they should. Anxiety begins to build for teachers and for students since we're talking about progress more. 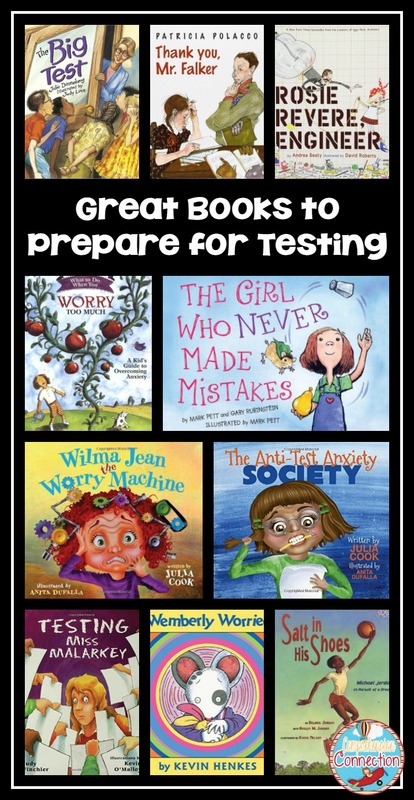 Luckily for us, we can reach for wonderful books to model perseverance, determination, and managing our worries. Salt in His Shoes, Wilma Unlimited, Wilma Jean, Worry Machine, and Wemberly Worried are just a few favorites of mine. The books can get you started with discussions (in guidance and during ELA block), but you might use Today's Meet to bring in technology too. 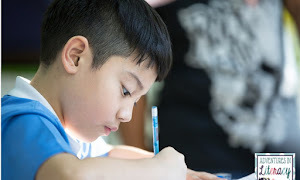 Your tech specialist and guidance counselor will also be deeply involved in helping your group prepare for testing too, so it is certainly good to be prepared so that your students are confident and ready. With Salt in His Shoes, you can talk about things students find challenging. Setting measurable goals can help your students have a sense of accomplishment which also builds confidence. Another great topic for this time of year is friendship. 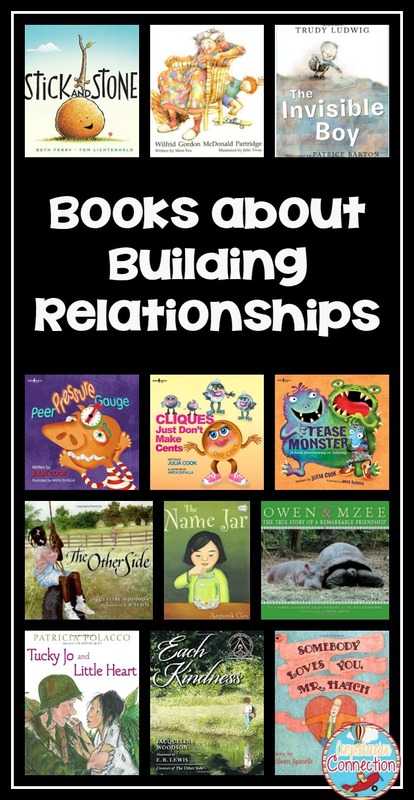 This book collection is all about building relationships. You can share books like Wilfred Gordan McDonald Partridge to demonstrate how we can support and help the elderly. This book is just wonderful for character development, sequencing events, and theme. Students can write about their best older friend, and once again, we can bring in guidance as we talk about aging and responsibility. You might have students interview an "older friend" and create a movie with Animato in your lab. Last year, I used the book, Owen and Mzee, to talk about friendship. We researched tsunamis and the countries around the Indian ocean where Owen and Mzee were rescued. I was lucky to find several links to articles and movie clips about them too. Your guidance counselor might talk about uncommon friendships and how important to reach out to those who need a friend. Have you read, Each Kindness by Jacqueline Woodson? Grab your tissues. You will need them. 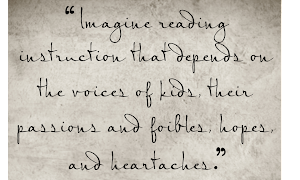 Sometimes challenging books can make us think too. [This set] in my store features Each Kindness, and after sharing it with my students, we created a class "Welcome Book". Having students introduce themselves is a great way to learn trivial things about them that you might not learn otherwise. 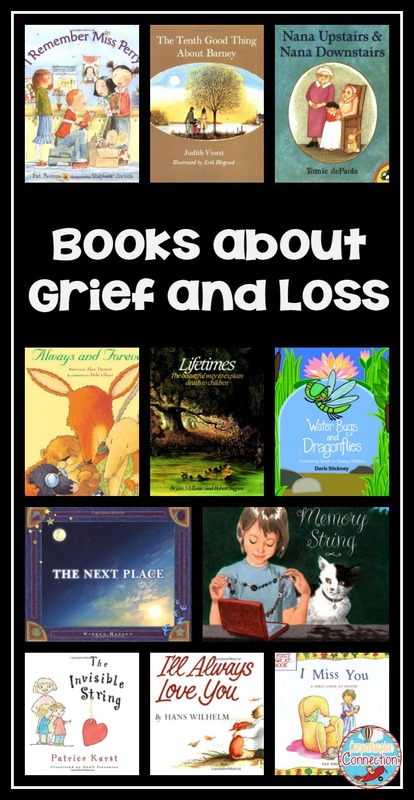 Sadly, at some point in our career, we are faced with helping a child through a loss. It might be the family pet, a grandparent, or even worse, a parent or sibling. 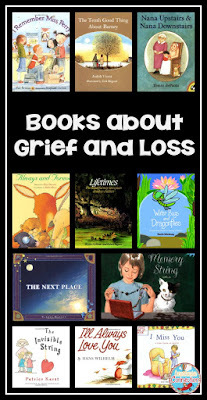 For my own children, the first death that hit them hard was the loss of our family dog and then, a month later, my father passed. It really caught us all by surprise, and with that experience, I learned that we need to be prepared and we need to prepare kids. This is challenging for everyone, and I am certainly not recommending a month long set of lessons. However, I would try to gather resources for when they are needed. Having a basket of books put together and/or a book list that you can share will help you feel prepared. If you wish to share a book or two, I would recommend Memory String by Eve Bunting and The Tenth Good Thing about Barney by Judith Viorst. By gently touching on the topic, we can help provide a little schema for our students that might help when the time comes. (okay...enough of this topic). The last topic I thought I'd share is the topic I started with, Bullying. Believe it or not, there are books at all age levels on this topic. For the primary grades, I love Swimmy by Leo Lionni, Goggles by Ezra Jack Keats, Stand Tall Molly Lou Melon and The Recess Queen. In upper elementary, you could pull many of Patricia Polacco's books, Enemy Pie, or Tough Boris. 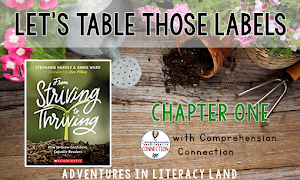 You can also explore this theme with chapter books with The Hundred Dresses, Esperanza Rising, Wonder, and Maniac Magee. There are so many options. 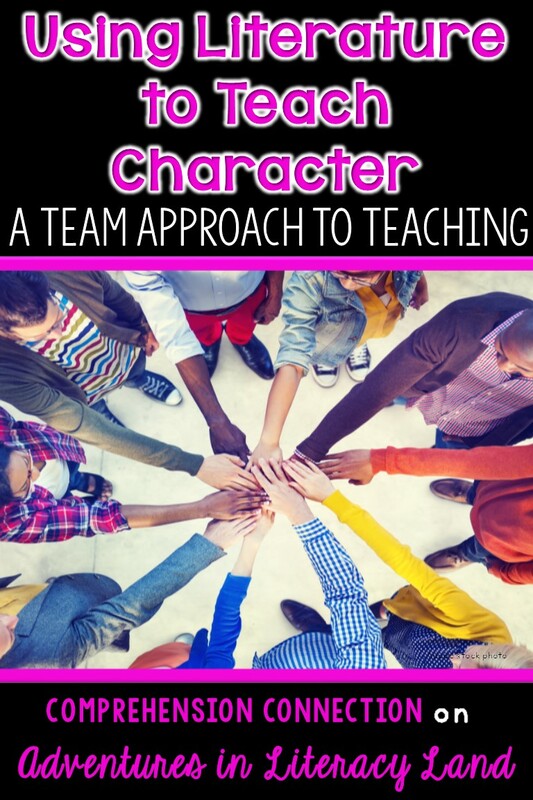 I gave you a few thoughts early on about how to involve your teammates. [Here] is the link to the unit for Bully if you're interested. 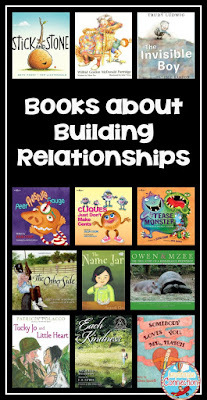 You might modify these ideas for primary grades to be about including others and friendship. How do you work with your colleagues? Have you thought about cross-curricular units? Maybe you pair with a primary teacher for reading buddies? You might choose books with one of these themes each month to work on school climate, or maybe pair your classes for a group project. There are certainly lots of options if you put your heads together. I think it's a great way to use your PLC time to improve school climate, don't you? Until next time, happy reading and see you next month, literacy fans. Now let's collaborate! This is a great post about the "not great" things we have to deal with in the classroom. What a fantastic resource. Thanks for getting this all in one place, Carla! Thanks for visiting, Cathy. I am hoping the lists will help our counselors since books are such a great way to work on issues. What a great post! I definitely have a lot of the anxiety books for my third graders. Test anxiety is a biggie in my grade level! Have you ever read the books by Erin Frankel? The three books are called Weird! Tough! and Dare! It is a trio of books that present the topic of bullying from three perspectives: the bullied, the bystander, and the bully. I spend about a week reading the books to my students every year. I love them! These sound awesome, Sarah. I will add them to my list. Glad you liked the post.